Archaeology, especially that of the American Southwest and southern Ethiopia; community formation and transitions in the millennium prior to European contact; social theory as it relates to questions of social and ethnic identity, ritual, migration and abandonment; ceramics and quantitative analyses. My research focuses on the increasing complexity of social and ritual institutions, problems of integration and emergent inequality as scale increases within the context of middle range societies. I work with the archaeological identification of communities and the social implications of major settlement, structural, and demographic changes associated with Puebloan communities between the eleventh and fifteenth centuries in the American Southwest. I have researched different temporal components of these transitions at different points in my career. My dissertation research was a study of changing social identities in the Western Pueblo area of northeastern Arizona and northwestern New Mexico during the A.D. 1300s, a period of extensive social upheaval, migration, ritual elaboration, and regional interaction. My current, long-term research project explores similar issues during the earlier florescence of the regional system centered on Chaco Canyon during the 11th and 12th centuries. 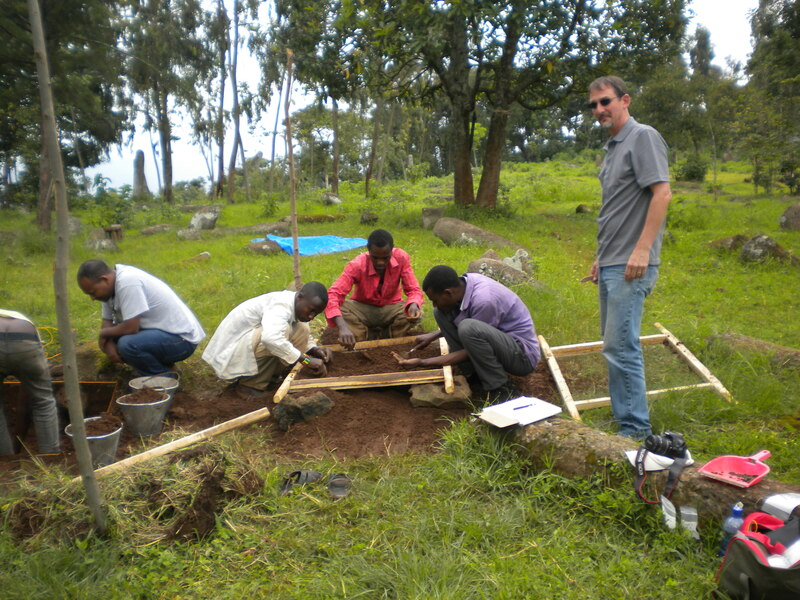 I have also initiated an archaeological research collaboration in southern Ethiopia, exploring the construction of stele and monuments in the Gedeo zone of the Southern Nations, Nationalities, and Peoples Regional State (SNNPRS). Here, we are exploring the timing and purpose of construction for several megalithic stele sites found in Gedeo and neighboring districts. I am always interested in discussing research opportunities for prospective students interested in graduate study at WSU—if you have any questions or are interested in applying, please contact me. 2017 Minerals. In Oxford Handbook of the Archaeology of the Southwest, edited by Barbara J. Mills and Severin Fowles, pp. 767-785. Oxford University Press. 2016 The Largo Gap Great House Community: The Role of a Chaco-Era Great House in the Southern Cibola Region of West-Central New Mexico. Journal of Field Archaeology 41(1):37-56. Williams, Justin P., Andrew I. Duff, and William Andrefsky, Jr. (2013) Debitage Stylistic Variability at Cox Ranch Pueblo. Lithic Technology 38(1):3-16. Duff, Andrew I., Jeremy M. Moss, Thomas C. Windes, John Kantner, and M. Steven Shackley (2012) Patterning in Procurement of Obsidian in Chaco Canyon and in Chaco‑era Communities in New Mexico as Revealed by X‑Ray Fluorescence. Journal of Archaeological Science 39(9):2995-3007. Duff, Andrew I., Fumiyasu Arakawa (2011) Obsidian Evidence of Interaction and Migration from the Mesa Verde Region, Southwest Colorado Region. American Antiquity pp. 774-796. Schachner, Gregson, Deborah L. Huntley, and Andrew I. Duff (2011) Changes in regional organization and mobility in the Zuni region of the American Southwest during the Pueblo III and IV periods: insights from INAA studies. Journal of Archaeological Science 38(9):2261-2273. Duff, Andrew I., Karen R. Adams, and Susan C. Ryan (2010) The Impact of Long-Term Residential Occupation of Community Centers to Local Plant and Animal Resources. In Leaving Mesa Verde: Peril and Change in the 13th Century Southwest,edited by Timothy A. Kohler, Mark D. Varien, and Aaron M. Wright, pp 156-179. University of Arizona Press, Tuscon. Duff, Andrew I., and Alissa L. Nauman (2010) Engendering the Landscape: Resource Acquisition, Artifact Manufacture, and Household Organization in a Chacoan Great House Community. In Engendering Households in the Prehistoric Southwest edited by Barbara Roth, pp. 12-33. University of Arizona Press, Tucson. Duff, Andrew I., T.J. Ferguson, Susan Bruning, and Peter Whiteley (2008) Collaborative Research in a Living Landscape: Pueblo Land, Culture, and History in West-Central New Mexico. Archaeology Southwest 22(1):1-24. Cameron, Catherine M., and Duff, Andrew (2008) History and Process in Village Formation: Context and Contrasts From The Northern Southwest. American Antiquity 73 (1):29-57. Huckleberry, Gary, and Duff, Andrew (2008) Alluvial Cycles, Climate, and Puebloan Settlement Shifts near Zuni Salt Lake, New Mexico, USA. Geoarchaeology: An International Journal 23(1):107-130. Duff, Andrew I., and Gregson Schachner (2007) Becoming Central, Organizational Transformations in the Emergence of Zuni. In Hinterlands and Regional Dynamics in the Ancient Southwest, edited by Alan Sullivan and James Bayman, pp. 185-200. University of Arizona Press, Tucson. Duff, Andrew I., and Stephen H. Lekson (2006) Notes from the South. In The Archaeology of Chaco Canyon, An Eleventh Century Pueblo Regional Center, edited by Stephen Lekson, pp.315-337. School of American Research Press, Santa Fe. Duff, Andrew I (2005) On the Fringe: Community Dynamics at Cox Ranch Pueblo. In Proceedings of the 13th Mogollon Archaeology Conference (2004), edited by Lonnie Ludeman, pp. 303-319. New Mexico State University, Las Cruces. Adams, E. Charles, and Andrew I. Duff (editors) (2004) The Protohistoric Pueblo World, A.D. 1275-1600. University of Arizona Press, Tucson. Adams, E. Charles, and Andrew I. Duff (2004)Settlement Clusters and the Pueblo IV Period. InThe Protohistoric Pueblo World, A.D. 1275-1600, edited by E Charles Adams and Andrew Duff, pp. 3-16. University of Arizona Press, Tucson. Duff, Andrew I. (2004) Settlement Clustering and Village Interaction in the Upper Little Colorado Region. 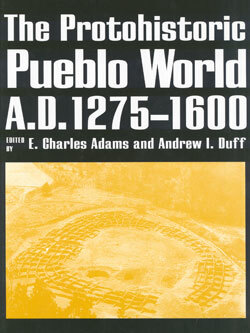 In The Protohistoric Pueblo World, A.D. 1275-1600, edited by E. Charles Adams and Andrew Duff, pp. 75-84. University of Arizona Press, Tucson. Duff, Andrew I. 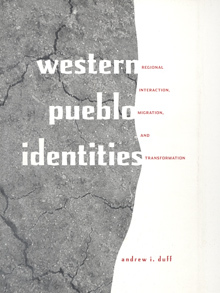 (2002) Western Pueblo Identities: Regional Interaction, Migration, and Transformation. University of Arizona Press, Tucson. Duff, Andrew I. (2000) Scale, Interaction and Regional Analysis in Late Pueblo Prehistory. In The Archaeology of Regional Interaction: Religion, Warfare and Exchange Across the American Southwest and Beyond, edited by M. Hegmon, pp. 71–98. University Press of Colorado, Boulder. Duff, Andrew I. and Richard H. Wilshusen (2000) Prehistoric Population Dynamics in the Northern San Juan Region, A.D. 950–1300. Kiva 66(1):167–190. Duff, Andrew I. (1998) The Process of Migration in the Late Prehistoric Southwest. In Migration and Reorganization: The Pueblo IV Period in the American Southwest, edited by K. Spielmann, pp. 31–52. Anthropological Research Papers, No. 51. Arizona State University, Tempe. Duff, Andrew I. (1996)Ceramic Micro-Seriation: Types or Attributes? American Antiquity 61(1):89–101.